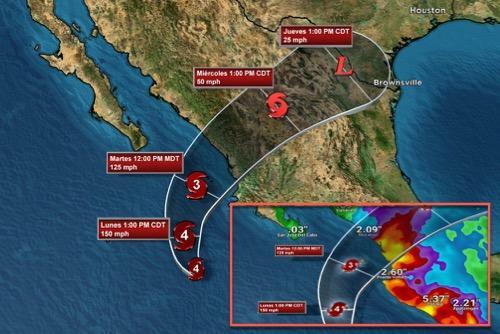 Hurricane warnings have been posted for Mexico's western coast between San Blas and Mazatlan, including the Islas Marias, a nature reserve and federal prison. 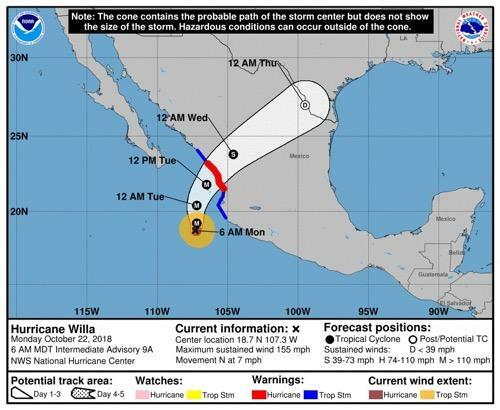 By early Monday, Willa had maximum sustained winds of 160 mph and was centered about 200 miles south-southwest of the Islas Marias and 155 miles south-southwest of Cabo Corrientes moving north at seven mph. 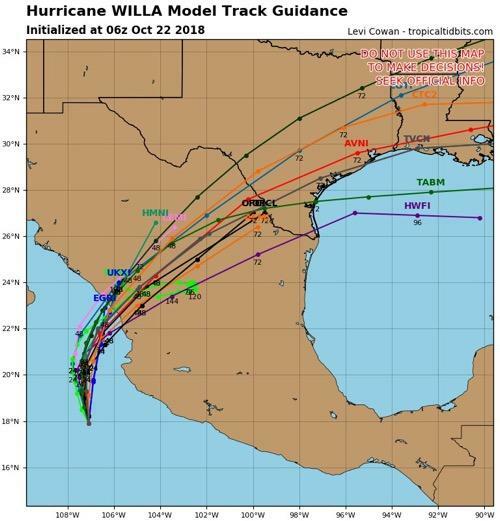 Hurricane spaghetti models show Willa will slam into Mexico's western coast Tuesday/Wednesday, then move towards the Coastal Plains of Texas late week. 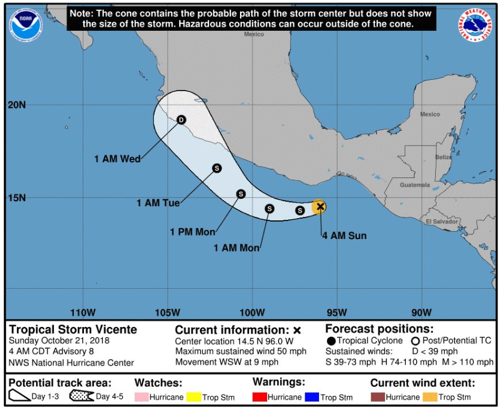 Near the caravan of thousands of Honduran migrants that crossed the Mexican border illegally on Sunday, Tropical Storm Vicente is developing offshore. By early Monday, the storm was about 195 miles southeast of Acapulco with top sustained winds of 45 mph. The NHC said it could produce 3 to 6 inches of rain in parts of Guerrero, Michoacan, Colima, and Jalisco states. 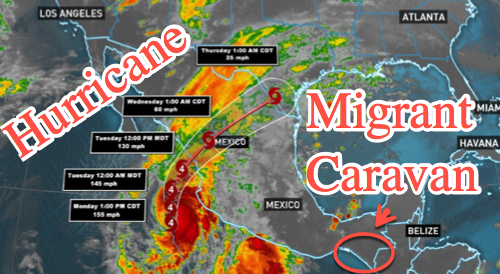 It seems that both storms will miss the caravan of Honduran migrants. What is social media saying about powerful Hurricane Willa? One Twitter user hopes the hurricane stays away from Florida. Another user provides satellite images of Willa from space. Ryan Maue, a meteorologist at Weathermodels.com, has now confirmed Hurricane Willa is a Category five.